Your front door not only invites guests into your home and gives them their first impression, it serves to protect your family. Front doors are an essential piece to curb appeal and, with the right door, can change the entire home’s dynamic. It serves as the focal point of your property and sets the tone for the rest of your home before anyone even steps foot inside. In addition to aesthetic reasons, your front door might need to be replaced for structural purposes. If your door is causing drafts in your home or you’re having a hard time closing or locking it, you’re probably due for a replacement. Upgrading your exterior doors improves insulation and energy efficiency, resulting in lower heating and cooling costs. Beyond these reasons, new exterior doors, particularly front doors, offer one of the biggest returns on investment, after kitchen and bathroom remodels. Farha’s Carpet & Building Supply has a large selection of exterior doors in stock. 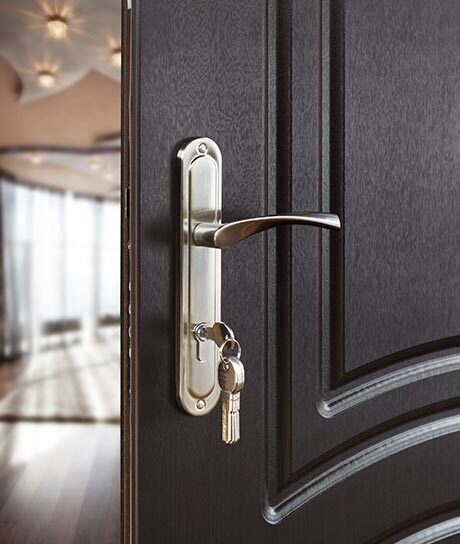 Whether you’re looking for solid wood, fiberglass, steel front doors, iron doors, or patio doors, we have options for it all. We offer a variety of options for budgets of all sorts! Give us a call or stop by to see how we can improve your curb appeal!